In partnership with the City of Edmonton and the Edmonton Federation of Community Leagues, several popular programs are run within the community of Riverdale. Abundant Community Edmonton (ACE) is a neighbourhood engagement and organization approach – basically, a way to build a culture of connection one neighbourly conversation at a time. Riverdale has a competitive youth soccer program for children ages 3 to18 years old; teams categorized in U-4 to U18 divisions. The program is run by community volunteers. Teams play year-round with games played in the winter at indoor soccer facilities and in the summer at outdoor fields. Contact Alexandra to volunteer or for additional information about the soccer program not provided on this page. We welcome all ages; parents come with children, teens, and adults. For the most part it is non-competitive and people rarely have to wait to get on the court. Racquets and birds are supplied. In the summer we apply for gym time through the City for the next year. We are an accredited not for profit daycare center. 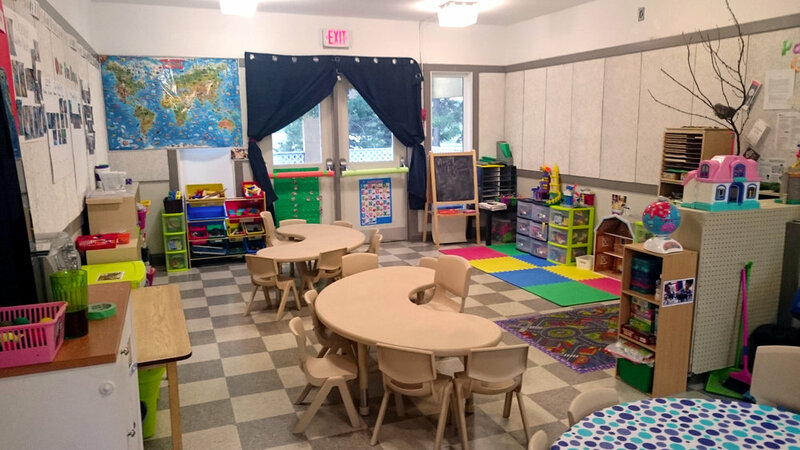 The objective of Riverdale CCC is to provide a setting where children are encouraged to learn in a warm and stimulating play environment that fosters independence and encourages activities that lead to a sense of accomplishment. Learning is fun and through child’s play we provide a satisfying and stimulating experience for each child. Staff are responsive to the children’s needs, aware of their development, interests and realities, and use this information as a basis for planning activities that are open ended, child directed, and based on learning through play. The program is varied: large and small muscle activities, indoor and outdoor play, use of imaginative materials or creative media, and real life equipment. All planning is modified to accommodate the needs and interests of individual children. We can accommodate 14 children between the ages of 3-5. The Riverdale Reconciliation Committee (RRC) is an initiative that is building off of the Truth and Reconciliation Commissions by participating in the effort of healing and reconciliation between Aboriginal and non-aboriginal Canadians. This committee hosts and organizes gatherings for Riverdale residents to engage in dialogue, build knowledge, and understanding of Canada’s collective history with Aboriginal people and learn about Aboriginal Culture and traditions. Did you know that the Riverdale Community league committed to being Carbon Neutral in 2008? This makes us the first hall to be carbon neutral in the whole Federation of Edmonton Community Leagues. We currently achieve our "status" via energy efficient retrofits (LED lights, on-demand hot water, high efficiency windows and more) and a small Photo Voltaic solar system on Riverdale House. Please participate in the survey below about a proposed Solar System in Riverdale. 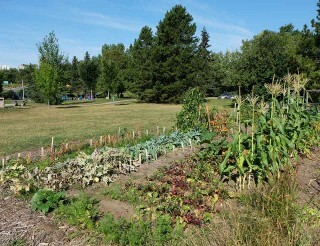 The Riverdale Community Garden is a pesticide free gardening space available to all Riverdale community league members. Nominal fees support collective infrastructure like a composting area. Last year we decided to add space for all Riverdalians to enjoy. You will see the space grow in spring 2015 on the north of Riverdale House. It will be planted with fruit trees and others for any passerby to enjoy! At our Annual General Meeting (AGM) held each spring, the group makes decisions about tweaking how our spaces work. For example, we may ban potato growing in 2015 for one year to discourage Potato Beetles. This year our group is also talking with Sustainable Food Edmonton about setting up a system whereby homeowners with extra space can match up with people looking for more land turn into production. We also have ambitions to host skill building workshops like canning, fermenting, and food storage. Currently there is a wait-list for garden plots. In October 2010 the Edmonton Dragon Boat Racing Club (EDBRC) officially opened the only dedicated dragon boat club house in western Canada on 102 Avenue and 87 Street. Their teams include co-ed teams, all-women teams, all-men teams, senior teams, and youth teams. Please note that a community league membership card is required for entry.